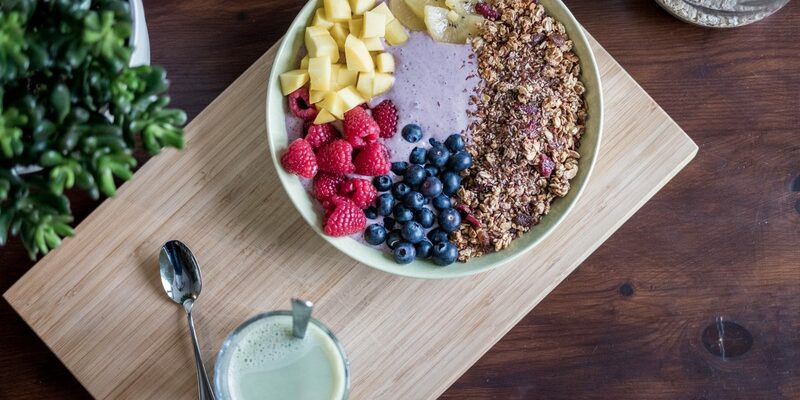 If you’ve been following me on social media, you’ll know that I am a huge fan of smoothie bowls. In fact, I eat one every morning for breakfast. It’s my guilt-free desert to start my day. 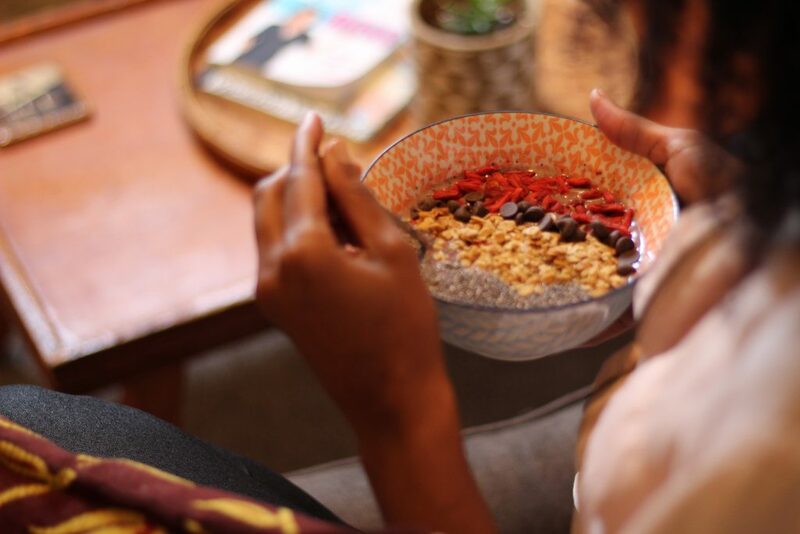 And now, I’m using the antioxidant power of my daily smoothie bowls to boost my beauty even more. 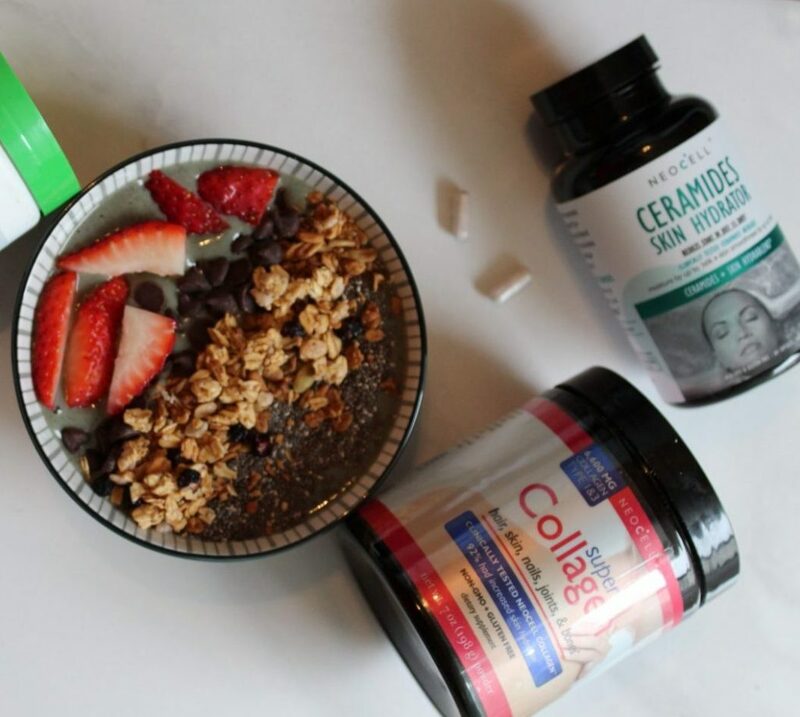 I began experimenting with adding supplements to my smoothie bowls when I was gifted a container of Super Collagen Powder from Neocell. I had such great results (particularly with my nail growth) that I started to re-think my beauty regime. As a beauty blogger, we are often sampling products to put on our skin. 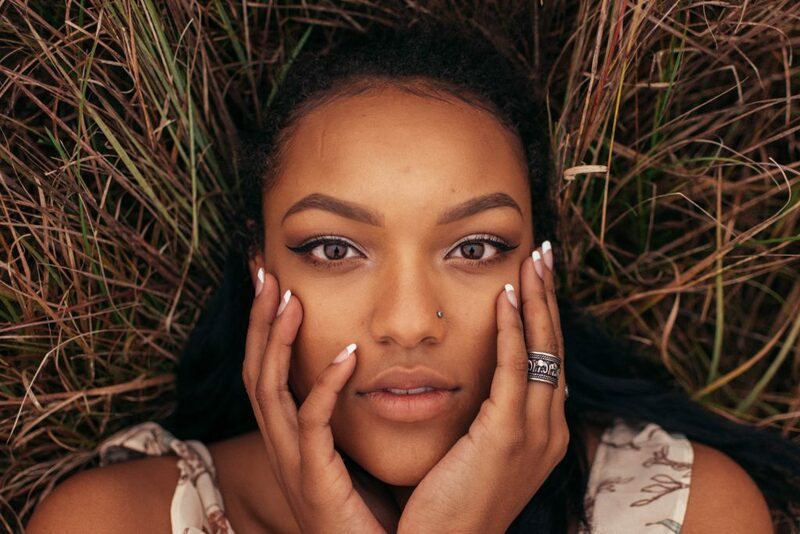 But, what if we could significantly improve the quality of our skin from the inside out? 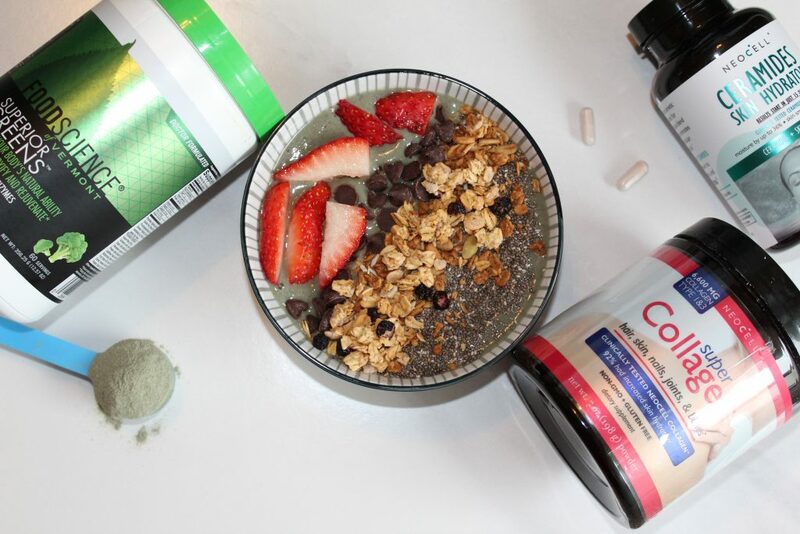 These supplements are guaranteed to add a nutritional beauty boost to your daily smoothie or smoothie bowl. It’s like getting a facial from the inside out! These green powders are the perfect boost to your smoothie. They pack a nutritional punch and are a great way to add the detoxifying benefits of green vegetables into your diet. This is the first green superfood powder that I’ve tried and actually LOVED. It’s packed with good for you greens such as parsley, broccoli, and spinach (and so much more). And it tastes really good! It has an apple flavor which lends itself nicely to adding more flavor to smoothies. It also has less than 1 g of sugar as Stevia is the main sweetener in this powdered formula. It’s great mixed in water, juice, or of course your favorite smoothie. This is the perfect green powder to get a good variety of veggies, herbs, and fruit as all are components in this green powder formula. 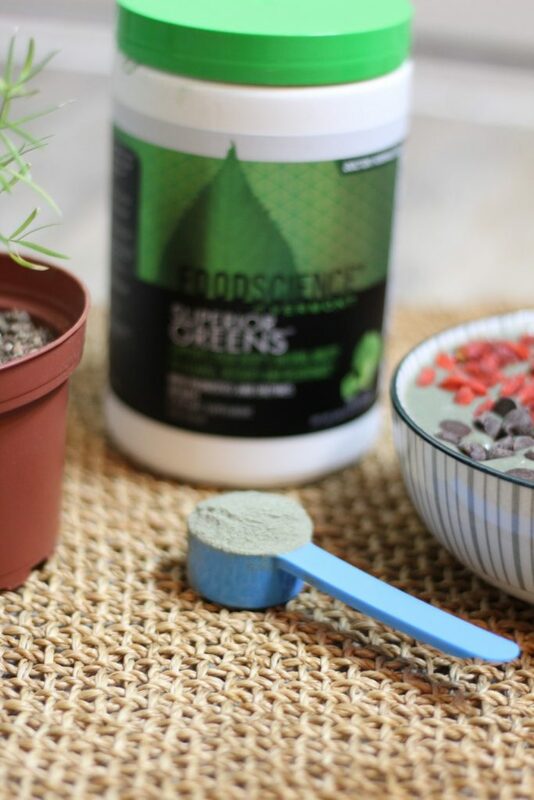 The second green powder formula I use is this detoxifying powder from Jarrow Formulas. This powder is specifically formulated to help support the liver. Many people think they need to do a huge juice fast or diet to go on a detox. 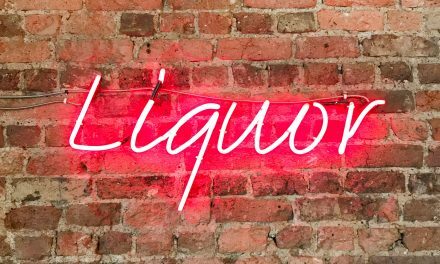 Your liver is designed to do all of the hard work for you. You just have to treat it right by avoiding too much sugar and alcohol and choosing healthy, alkaline foods. Give your skin, hair, and nails a treat they’ll thank you for. After a consistent hair vitamins routine, I’ve noticed healthy, longer, and stronger nails and my hair is healthier than it’s ever been. Here are the supplements I’m loving right now. These tablets provide an extra dose of hyaluronic acid. Hyaluronic acid is a naturally occurring acid produced in the body that protects your joints. It’s also great for increasing elasticity. Your body produces hyaluronic acid when you perform slow stretches like those done in Yin Yoga. But you can also supplement the acid. I empty two of the tablets into my smoothies. I’ve been using this product for over a year and I love. When I stop using it, I notice a significant decline in the strength of my nails. It’s tasteless so it doesn’t compete with the other flavors in my smoothie. Don’t be afraid to rethink your beauty routine. So often we think that it’s what’s on the outside that counts, when in reality beauty starts from the inside out. Disclaimer: Please consult with a doctor before adding any supplements to your diet. All recommendations are purely for entertainment and should not substitute professional advice.